Darlings, a cheese course/starter is always a winner. And if you can spice it up with some goodies, it can be made extra special. 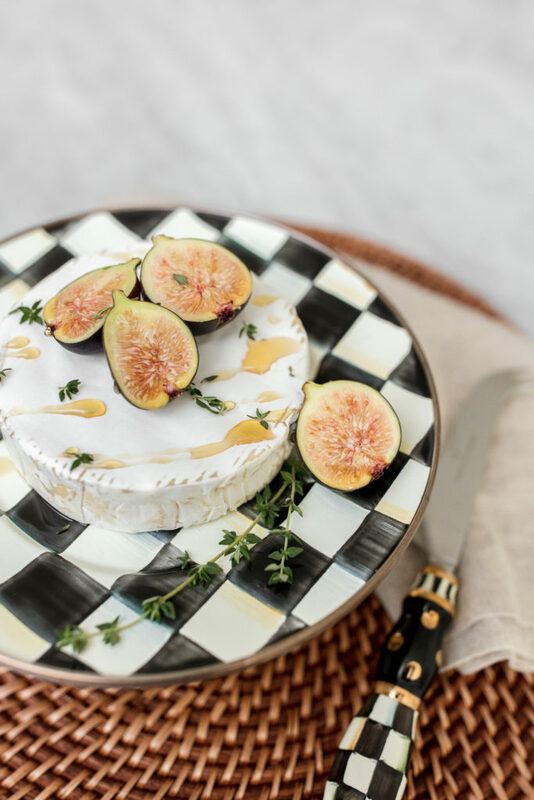 I mean, I’m all for a generic cheese platter, but this brie topped with figs, honey and sprinkled with thyme leaves is a game changer! 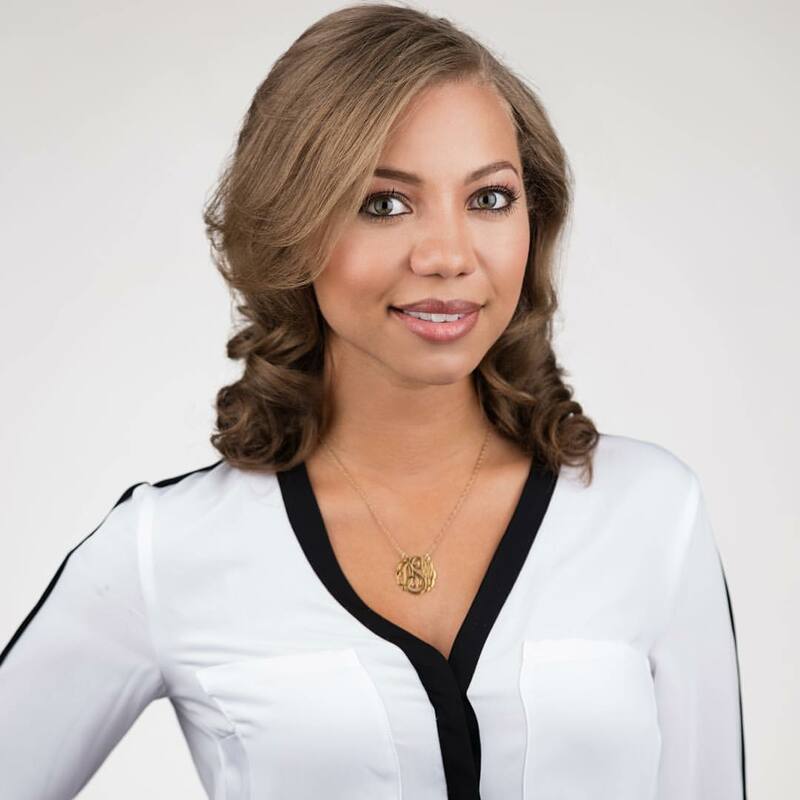 Just ask my hubby…and no, he’s not biased. The ingredients make this special and there are only 4 so it’s also super easy! Assembly required. 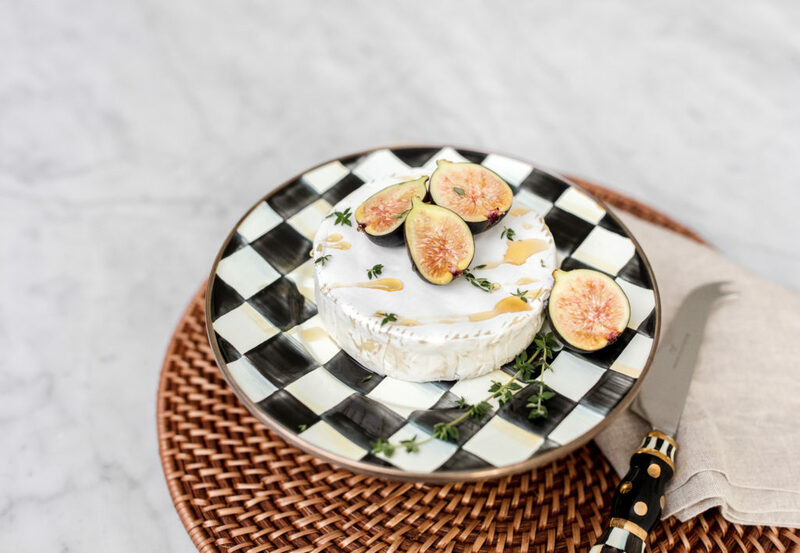 Place the brie on a nice plate (I went with this small cake stand that fit perfectly with my Mackenzie Childs Fall theme at our house). 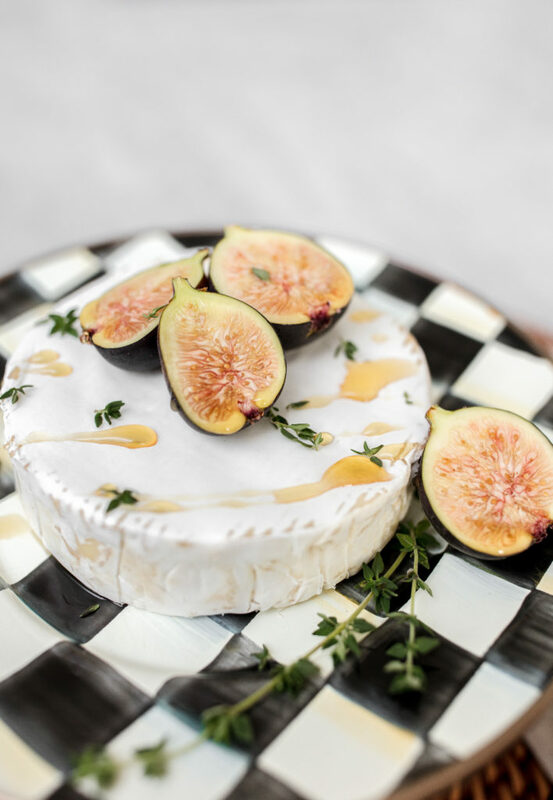 Note: If you prefer your brie softened, you could bake at about 350 degrees for about 5 min. 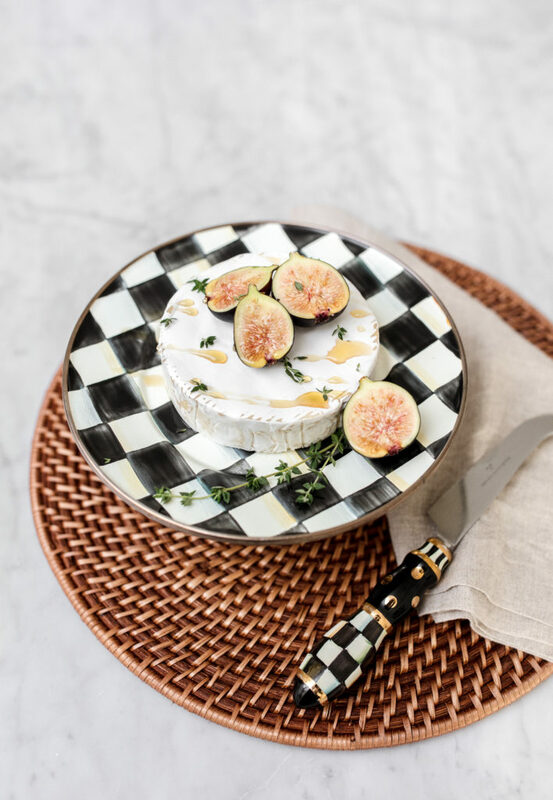 Then cut the figs in half and place on top of brie. Drizzle the honey and sprinkle with fresh thyme leaves. Ét voila!